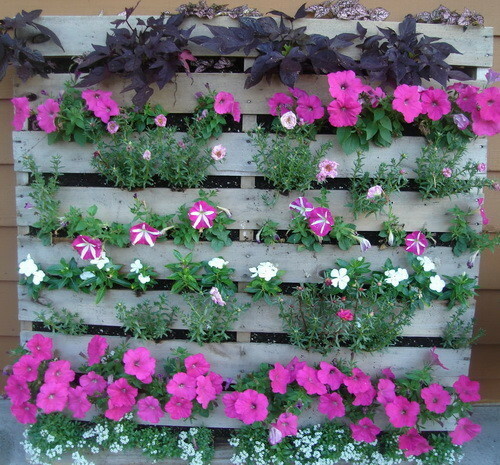 Pallet Gardens have become very popular these days. 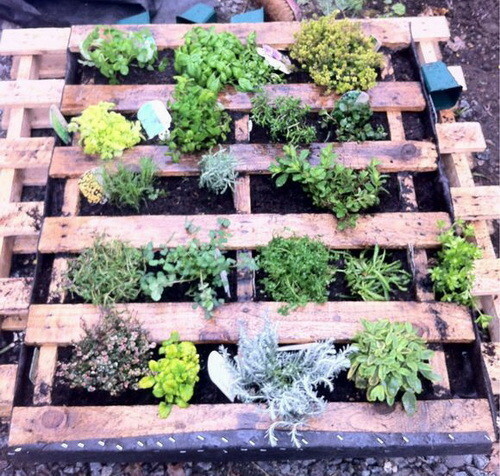 People have always loved working in their gardens and now using a pallet gives you a chance to recycle something that would otherwise be thrown away. 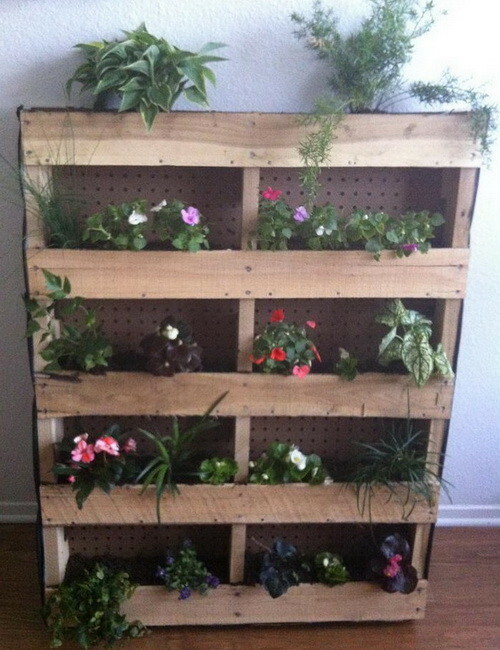 All you will need for pallet gardening is a wood pallet, some great soil and your favorite seeds. 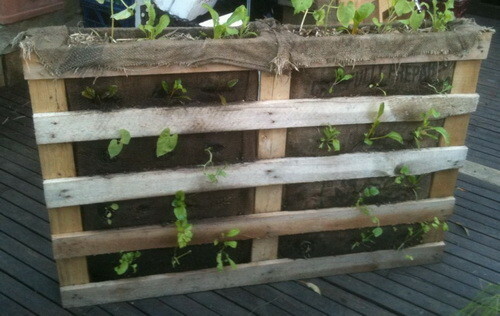 Using a wood pallet to start a garden can save lots of space and plus there is no soil to weed. Look for a pallet that has “HT” stamped on the side of the pallet. HT means the pallet was heat treated and or kiln dried as opposed to the harmful “CT” (chemically treated). 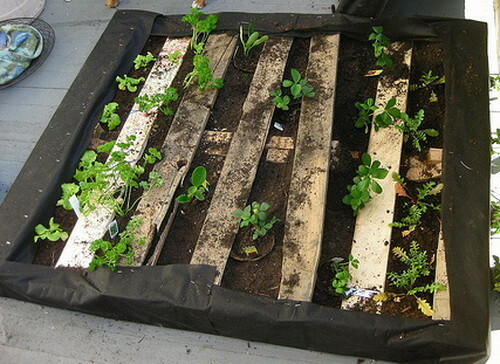 When you find yourself a pallet for your Garden pallet, you cannot be sure if chemicals were stored on the pallet or that there is some sort of bacteria inside the pallet. 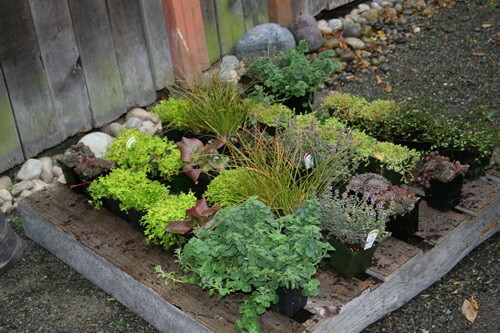 Always scrub the pallet before use in a garden with some soapy water before using it to garden. More Pallet Projects. 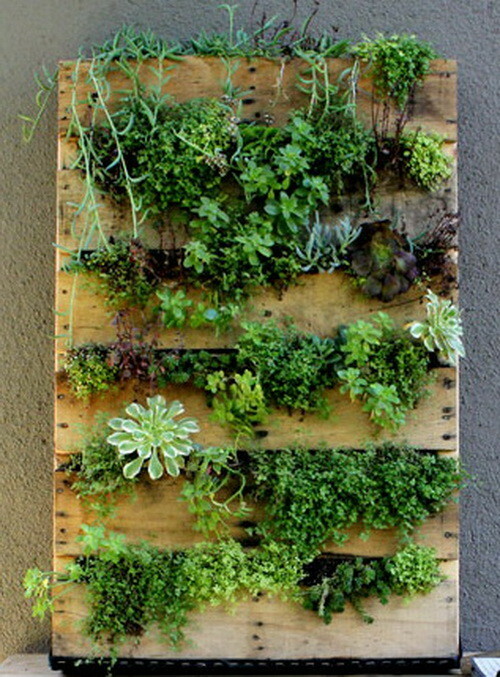 There are many different ways to create and lay out your Garden pallet. 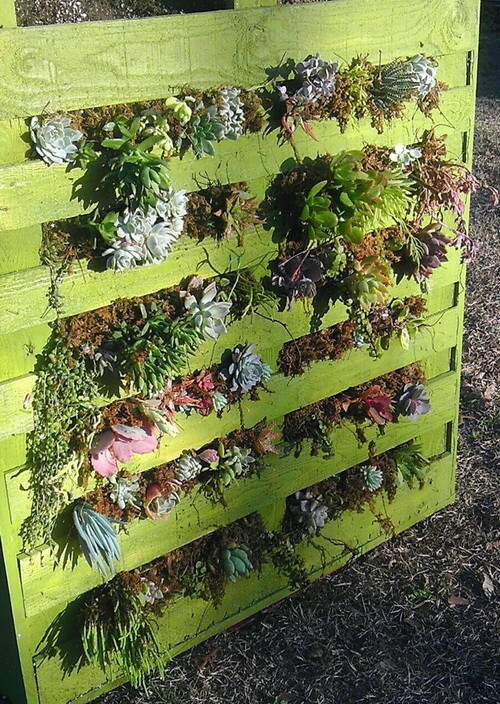 Below you will find 10 photos of some very unique and amazing Garden Pallets. Next post: How Does An Evaporative Cooler (Swamp Cooler) Work?